Engineering Entrance Exams have always been the hot choice for millions of higher secondary students, who dream to pursue attractive careers in Engineering. Most of the National as well as State Level Engineering Entrance Tests like Joint Entrance Exam (JEE) for IITs, NITs, IIITs, GFTIs and Tests for Other State & IIT-JEE affiliated Engineering Colleges in India are held in the months of April / May / June for the academic year starting from July / August of the following year. But from 2019 onwards, JEE (Main) will be conducted by the National Testing Agency (NTA). The test will be conducted in two attempts as JEE (Main) I & JEE (Main) II in CBT mode. The first attempt of JEE (Main)-2019 will be held in January, 2019 whereas the second attempt will be held in April, 2019. The NTA will release the application form of JEE (Main)-2019 for the first attempt in September, 2018 and for the second attempt in February, 2019. The Department of Higher Education, Ministry of Human Resource Development, Govt. of India has entrusted the responsibility of conducting Joint Entrance Examination (JEE-Main) to the NTA. This Examination was being conducted by the Central Board of Secondary Education (CBSE) till 2018. The National Testing Agency (NTA) is only an examination conducting body. After declaration of result, the data will be handed over to Centralised Seat Allocation Board (CSAB)/JoSAA or the concerned State Government/Institute for Seat Allocation Process and admission procedure. Usually, the syllabus of the entrance tests is based on the NCERT courses outline of class XI and XII. The motto of almost all the entrance tests is to assess the fundamental concepts of Physics, Chemistry & Mathematics, and their varied applications; but the questions being asked now a day are a bit tricky. However in some specific entrance tests, questions are also asked on Mental Ability Test (MAT), English Proficiency, Logical Reasoning/ General Aptitude and Drawing etc. In 2013, by the direction of The HRD Ministry, Govt. of India the JEE has been divided into two phases: JEE (Main) – A common entrance test for admission to undergraduate degree programs in India's Government as well as Private Engineering / Science Institutions/ Colleges/ Universities and the screening test for the IITs. JEE Main is applicable for admission to NITs, IIITs and CFTIs participating though Central Seat Allocation Board subject to the condition. JEE (Advanced) is conducted for the admission into the very coveted IITs after JEE (Main). JEE (Main): There are two papers in JEE (Main): Paper-1 for B. E. / B. Tech and Paper-2 for B. Arch / B. Planning. Paper-1 (B.E. / B. Tech) will be conducted in “Computer Based Test (CBT)” mode only. Paper-1 contains 90 questions; out of which 30 questions from each in Physics, Chemistry and Mathematics. There will be four options for each question, out of which one answer is to be selected. Each correct answer carries 4 marks where as 1 mark will be deducted for each incorrect answer. Maximum mark is 360. Duration of the test is 3 hrs. The medium of Question Paper shall be in English, Hindi and Gujarati. The option of question paper language should be exercised while filling up the Application Form and it cannot be changed at a later stage. JEE (Advanced): It is consists of two objective type papers i.e., Paper-1 & Paper-2. Each paper contains 54 questions from Physics, Chemistry and Mathematics with three separate sections i.e., Section-1, 2, 3. Questions are varies from section to section. Each subject contains 18 questions. Max. Mark is 183 for each paper but marking scheme varies from question to question. There is also negative marking in some sections of this paper. Duration of each paper is 3 hrs. As per the decision of Joint Admission Board (JAB), the JEE (Advanced) exam being conducted online from 2018. The medium of Question Paper shall be in English only. VITEEE: Vellore Institute of Technology Engineering Entrance Exam (VITEEE) question paper consists of 4 parts – Part-I: Physics, Part-II: Chemistry, Part-III: Mathematics/Biology and Part-IV: English. Each part has 40 questions and English has 5 questions, with each question carrying 1 mark. Each question is followed by 4 alternative answers. The candidate will have to choose the correct answer. Each correct answer carries 1 mark. No negative marks for wrong answers. Maximum Mark is 125. Duration of the test is 2.5 hrs. Mode of Entrance Examination is CBT only. The exam will be conducted as 3 sessions per day. The Question paper will be in English language only. BITS-Pilani: Birla Institute of Technology & Science Admission Test (BITSAT) paper consists of 4 parts. Part-I: Physics contains 40 questions; Part-II: Chemistry contains 40 questions; Part-III contains two sub-sections: (a) English Proficiency-15 questions & (b) Logical Reasoning-10 questions and Part-IV: Mathematics / Biology contains 45 questions. There are 150 questions in all. All questions are of objective type (multiple choice questions). Each question has four choices out of which only one is correct answer. Each correct answer fetches 3 marks, while each incorrect answer has a penalty of -1mark. No marks are awarded for questions not attempted. Duration of test is 3 hrs. Maximum Mark is 450. BITSAT is a Computer based online test. Overview: 1. Joint Entrance Examination (JEE) Main will be conducted by the National Testing Agency (NTA) from 2019 onwards. The Department of Higher Education, Ministry of Human Resource Development, Government of India has entrusted the responsibility of conducting Joint Entrance Examination (JEE) (Main) to the NTA. This Examination was being conducted by the Central Board of Secondary Education (CBSE) till 2018. 2. The National Testing Agency (NTA) is only an examination conducting body. After declaration of result, the data is handed over to CENTRALISED SEAT ALLOCATION BOARD (CSAB)/JoSAA or the concerned State government/institute for Seat Allocation Process and admission procedure. 3. JEE (Main) is applicable for admission to NITs, IIITs and CFTIs participating though Central Seat Allocation Board subject to the condition that the candidate should have secured at least 75% marks in the 12th class examination, or be in the top 20 percentile in the 12th class examination conducted by the respective Boards. For SC/ST candidates the qualifying marks would be 65% in the 12th class examination. The Paper-1 (B. E./B. Tech.) of JEE (Main) will also be an eligibility test for the JEE (Advanced), which the candidate has to take if he/she is aspiring for admission to the undergraduate programmes offered by the IITs. 4. Candidates have to apply for JEE (Main) January - 2019 “Online” ONLY. Only one application is to be submitted by a candidate. Submission of Online Application Form may be done by accessing NTA website -www.jeemain.nic.in only. The candidates should select four cities of examination as per their choice of Paper-1 or Paper-2 or both Paper-1 & Paper-2 of JEE (Main) – 2019. NOTE: NTA is also establishing a countrywide network of Test Practice Centers (TPCs) for students of rural areas so that everyone will have an opportunity to practice before the exam. From 1st September, 2018 on every Saturday & Sunday, various schools/engineering colleges with computer are being started practicing of tests for any student can avail the facility free of charge. 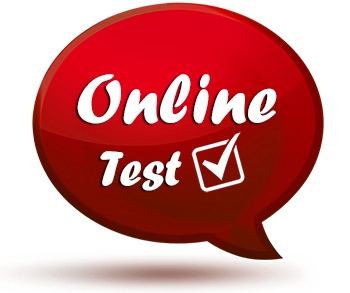 The practice tests will help the candidates to familiarize themselves with logging into the system and how to use computer at the time of actual test. The TPCs will have a downloaded Computer Based Test (CBT) which will be similar to the actual test to be conducted on the exam day. Age Limit: For appearing in the JEE (Main) examination there is no age limit for the candidates. The candidates who have passed XII examination in 2017, 2018 or appearing in 2019 irrespective of their age can appear in JEE (Main) Examination – 2019. Year of Appearance in Qualifying Examination (QE): Only those candidates who have passed their Class 12th Examination or any equivalent qualifying examination in 2017 or 2018; or those who are appearing in their Class 12th Examination or any equivalent qualifying examination in 2019 are eligible to appear in both January, 2019 and April, 2019 JEE (Main)-2019 Examination. Number of Subjects in the Qualifying Examination : Candidates must have taken at least five subjects (1-Language, 2-Physics, 3-Mathematics, 4-Any one of (Chemistry, Biology, Biotechnology, Technical Vocational Subject), 5-Any other subject in class 12th/qualifying examination) in order to be eligible for writing JEE (Main)-2019. The candidates who have taken four subjects are not permitted to write JEE (Main)-2019 and if such candidates appear in JEE (Main)-2019 by furnishing wrong information, their rank/result will not be declared. Number of Attempts : The number of attempts which a candidate can avail at JEE (Main) shall be limited to 03 (three). 1st shift: 9.30 a.m. to 12.30 p.m.
2nd shift: 2.30 p.m. to 5.30 p.m.
JEE (Main) – 2019 shall have two papers, Paper-1 (B. E./B. Tech.) and Paper-2 (B. Arch./B. Planning). Paper-1 (B.E. /B. Tech.) will be conducted in “Computer Based Test (CBT)” mode only. The medium of Question Paper shall be in English, Hindi and Gujarati. The option of question paper language should be exercised while filling up the Application Form and it cannot be changed at a later stage. Indian Institute of Technology (IIT), Roorkee will conduct the JEE Advanced 2019 exam on 19th May 2019. This year JEE Advanced exam was conducted by IIT Kanpur on 20th May, 2018. Till 2017, JEE Advanced was conducted in pen-paper mode. The JEE Advanced exam will be conducted online from 2018. The decision to conduct the exam online was taken by Joint Admission Board (JAB) to make logistics and evaluation process easier. The Joint Entrance Examination (Advanced) 2019 will be conducted by the IITs. The performance of a candidate in this examination will form the basis for admission to the Bachelor’s, Integrated Master’s and Dual Degree programs (entry at the 10+2 level) in all the IITs. The decisions of the JAB 2019 will be final in all matters related to JEE (Advanced) 2019 and admission to IITs. All the candidates must fulfil each and every one of the following five criteria to appear in JEE (Advanced) 2018. 1.Performance in JEE (Main) 2018 : Candidates should be among the top 2,24,000* (including all categories) in Paper-1 of JEE (Main) 2018. The percentages of various categories of candidates to be shortlisted are: 27% for OBC-NCL, 15% for SC, 7.5% for ST and the remaining 50.5% is OPEN for all. Within each of these four categories, 5% horizontal reservation is available for PwD candidates. 2. Age limit: Candidates should have been born on or after October 1, 1993. Five years relaxation is given to SC, ST and PwD candidates, i.e., these candidates should have been born on or after October 1, 1988. 3. No. of Attempts: A candidate can attempt JEE (Advanced) a maximum of two times in consecutive years. 4. Appearance in Class XII (or equivalent) examination: A candidate should have appeared for the Class XII (or equivalent) examination for the first time in either 2017 or 2018. 5. Earlier admission at IITs: A candidate should NOT have been admitted in an IIT irrespective of whether or not he/she continued in the program OR accepted an IIT seat by reporting at a reporting centre in the past. Candidates whose admission at IITs was cancelled after joining any IIT are also NOT eligible to appear in JEE (Advanced) 2018. Candidates who have been admitted to a preparatory course in any of the IITs for the first time in 2017 can appear in JEE (Advanced) 2018. The pattern of JEE (Advanced) given here is not the actual pattern of JEE (Advanced) 2018. It is on the basis of exact Exam pattern of JEE-Advanced 2017. The pattern for JEE-Advanced 2018 may be changed. Both the papers are compulsory. VIT University, established under Section 3 of the University Grants Commission (UGC) Act, 1956, was founded in 1984 as a self-financing Institution called the Vellore Engineering College. The Union Ministry of Human Resource Development conferred University status on Vellore Engineering College in 2001. The University is headed by its founder and Chancellor, Dr. G. Viswanathan, a former Parliamentarian and Minister in the Tamil Nadu Government. In recognition of his service to India in offering world class education, he was conferred an honorary doctorate by the West Virginia University, USA. Candidates must have been born on or after July 1, 1997. Candidates must score an aggregate of 60 per cent in Physics, Chemistry, Mathematics/Biology in their class 12 (or equivalent) exams. The average marks for PCB or PCM should be at least 50 per cent for SC, ST and North East candidates. NIOS students and those who studied in regular, full time and formal educational institutions are eligible to apply. The duration of the Entrance Examination will be of 2 hours and 30 minutes. The exam will be conducted as three session per day. PCBE - Candidates who have studied Physics, Chemistry and Biology are eligible for B.Tech. Bio-engineering and B.Tech. Biotechnology programmes. They are also eligible for B.Tech. Computer Science and Engineering (Spec. in Bioinformatics) and Electronics and Communication with spl. in Biomedical Engineering but after joining, registering Mathematics as bridge course is mandatory. The Birla Institute of Technology and Science (BITS) Pilani is an all India Institution declared as Deemed to be University under Section 3 of the UGC Act. BITSAT is a computer based online test conducted by BITS, Pilani for admissions to Integrated First Degree programmes of BITS, Pilani at Pilani campus, K. K. Birla Goa campus and Hyderabad campus. This test will be referred to as ‘BITS Admission Test – 2019’, in short as BITSAT-2019. ‘Computer Based Online test’ means the candidate sits in front of a computer and the questions are presented on the computer monitor and the candidate answers the questions on the computer through the use of keyboard or mouse. Each computer is connected to a server, which prepares the question set and delivers it to the candidate on the computer. This is unlike the traditional paper-pencil based test. Each day the exam will be conducted in two slots. The first slot will be from 9.00 am till 12.00 noon and the second slot will be from 2.00 pm till 5.00 pm. A candidate can choose anyone out of these two slots based on the availability. • For admission to any of the Integrated First Degree Program except B. Pharm. : Candidates should have passed the 12th examination of 10+2 system from a recognized Central or State board or its equivalent with Physics, Chemistry and Mathematics in 2018 or Students who are appearing for 12th examination in 2019 and adequate proficiency in English. • For admission to B. Pharm. : Candidates should have passed the 12th examination of 10+2 system from a recognized Central or State board or its equivalent with Physics, Chemistry, and Biology in 2018 or Students who are appearing for 12th examination in 2019 and adequate proficiency in English. However candidates with PCM may also apply for Pharmacy program. • Minimum Percentage with Subjects: The candidate should have obtained a minimum of aggregate 75% marks in Physics, Chemistry and Mathematics subjects (if he/she has taken Mathematics in BITSAT) or a minimum of aggregate 75% marks in Physics, Chemistry and Biology subjects (if he/she has taken Biology in BITSAT) in 12th examination, with at least 60% marks in each of the Physics, Chemistry, and Mathematics/ Biology subjects. Candidates who will be appearing for class 12 exam in 2019 or who have cleared the examination in 2018 are only eligible. Admissions will be made purely on merit: The merit position of the candidate for admission will be based on the score obtained by the candidate in the BITSAT-2019. However, their eligibility for admission is subject to fulfilling the requirement of minimum marks in 12th examination. Direct Admission to Board Toppers: First rank students of all the central and state boards in India for the year 2019 will be given direct admission to the program of their choice, irrespective of their BITSAT-2019 score as per the eligibility criteria mentioned above. Further details about this scheme will be available at BITS admission website by 1st of May 2019. BITSAT Exam Centers 2019: BITS Pilani will be conducting entrance test in various cities/states which will be known as BITSAT 2019 exam centres. These exam centres of BITSAT 2019 will be decided by the authorities itself. In 2018, BITSAT 2019 was held in 50 cities including Dubai. Candidates will have to fill the exam centre of BITSAT 2019 while filling the application form. Candidates can choose 3 BITSAT exam centres 2019 in order of their preference and convenience. However, candidates opting for Dubai exam centre of BITSAT 2019 can only choose one centre. NOTE: All questions are of objective type (MCQs); each question with choice of four answers, only one being correct choice. Each correct answer fetches 3 marks, while each incorrect answer has a penalty of 1 mark (-1mark). The questions are so designed that a good student will be able to answer 150 questions in 180 minutes. The extra questions (a maximum of 12) will give a chance to highly meritorious candidates to score higher. However, candidates should keep in mind the fact that there is negative marking for wrong answers.